Coleslaw-kraut…what is it you say? It’s essentially the sauerkraut recipe from a lovely book I just purchased (for $2!) called The Lost Art of Real Cooking by Ken Albala and Rosanna Nafziger and the basic idea of fermented coleslaw that I got from my Mother-In-Law. 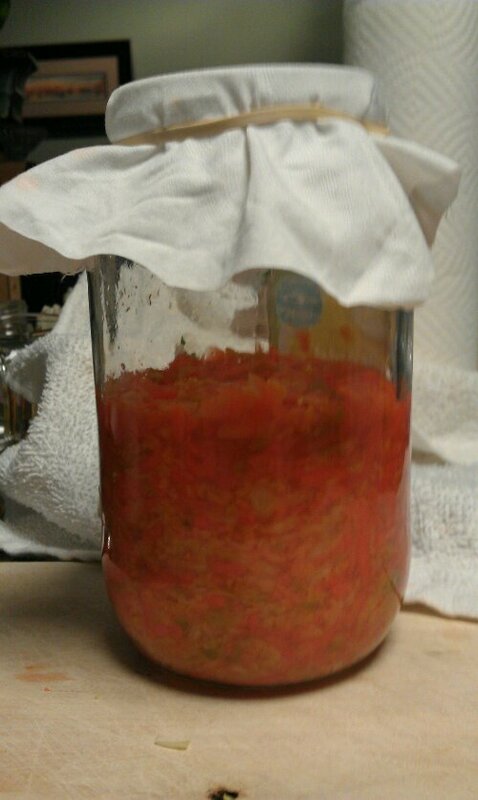 It is happily fermenting away on my counter. I will keep everyone updated!